Orchids and Onions: Saturday in the park, etc. 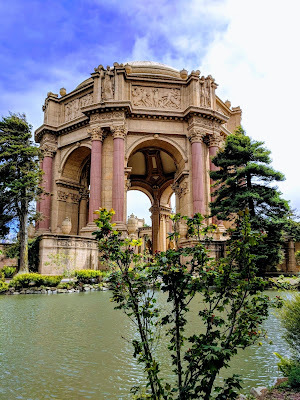 Saturday in the park, etc. I never, ever tire of visiting the Palace of Fine Arts. Out of the many photos I took today, I liked this one the most. Yesterday, I spent the morning volunteering at the Conservatory. I had had my wires crossed and showed up for the wrong shift. Oopsie! As a result, I wound up hanging with what will hopefully become a massive corpse flower. When it does, the whole joint will know, but it's still early stages. Indeed, the plant may well instead create leaflets, gathering more energy in order to eventually become a bloom. It's all a bit guess work at this point, so we'll see what happens over the course of this month and the next. After my shift, I walked over to the informal skate area just down the road. The boots are still pretty stiff, so I quit skating after about 45 minutes as the skin on my ankles was smarting. I think that forty-five minutes skating would have more than my shins smarting. How often does the corpse flower put on a display? Annually or is it more random? From what I understand, the corpse flower sort of stays 'hibernating', if you will, for around 7 years between blooms. 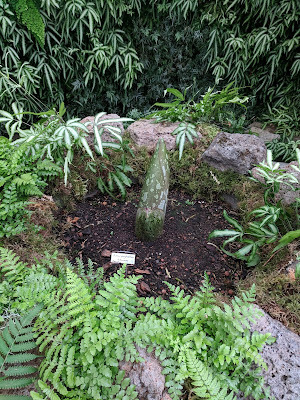 The one we currently have on display is a sibling, in essence, to the corpse flower that bloomed this time last year. I think that this is why staff are hopeful that this titan will produce a bloom as well. Fingers crossed and noses plugged! I especially love the top photo. Oh, wow. That fungus sounds icky. Will only use soften the skate boots, or can you treat them with some softener? You know, I don't know. They are suede, so maybe a softener could be applied to the interior of the boot? Alternatively, I'm wondering if I should go out in thick winter socks to sort of stretch out the boot. Will you drop me an email: jnoragon@gmail. Thanks. There is a catalog that sells the corpse flower, but I wonder if they sell any. I would not want to have that smell in my garden. There are really wee corpse flowers, so maybe a tiny one would just produce a tiny, stinky smell? They also only emit a stench for a period of around 24 hours, or so. Sounds like a lovely day. You'll have those skates broken in in no time. Dear Bea, just read this conservatory posting and the earlier one on your skates. 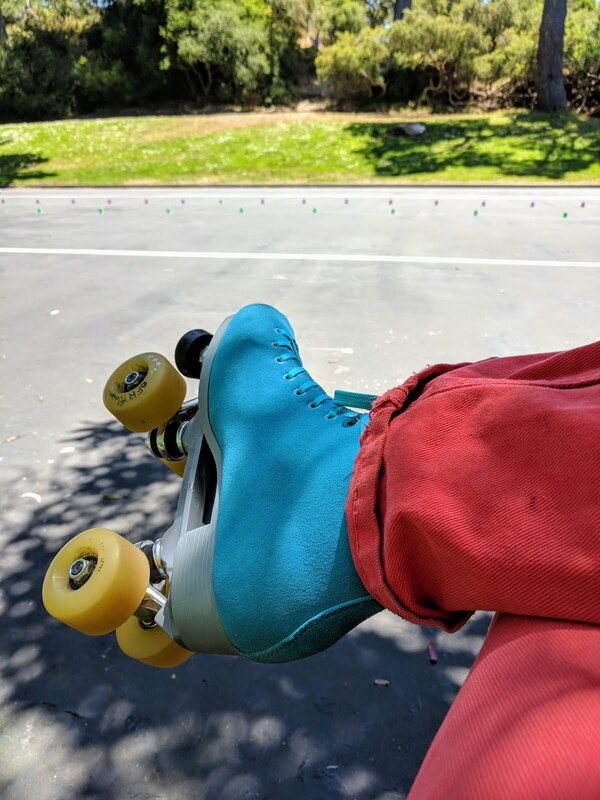 It's wonderful to have a hobby like skating the you enjoy and those teal suede skates are beautiful. Peace. Thank you, Dee. Skating does give me pleasure, to be sure!